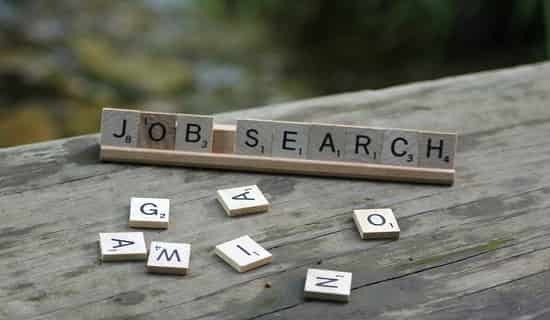 Searching for the job from the scratch can be a daunting process especially when you have just completed the education and new in the job search market. The most crucial step is sending off your CV to potential employers, so that you can begin to prepare for whatever opportunities come your way. Before starting anything it is important to decide what you want from the future. Both the long and the short term planning have to done before starting the job search.Know what you enjoying doing and know what you good at!! Find out your skills and interest; enhance your knowledge of the particular field. Research and analyze about the job characteristic of that field. Once you are aware about the basic amenities then you can take out time and start making the resume for the job search which is the most crucial thing. Job search process is equal for everyone whether you are fresher or an experience! With change in the technology, one has to be ahead of others and has to be aware about the all the advancement in technology. To start a job search you have to know how to write resumes and cover letters, where to look for jobs, how to conduct a job search and the best way to use social networking to job search. Your job search includes making the clean CV with no grammatical mistakes, be short and crisp in your CV, read the job description properly before sending the resume. Making the effective resume is most important step in the path of job search. If you want to demonstrate about your leadership qualities then sororities and fraternities is the best of the ways. There are four types of the resume: targeted, chronological, and functional and combination resume. The choice of the resume has to depend on the personal circumstance. Whether you want to take up internship or the do the full time/par time job has to be pre-decided before starting the job search. Trying for jobs on the job boards can be useful but not in all the case. Carefully considerate your interest, skill and talent, knowledge and the background. Your community, your presentation! It is tough to make out which is the right job for you and how well you deserve or match the qualification criteria! You need to take the time out so that you can present these facts on the interview table!! Acceptance of the weakness and the strengths play a crucial role. Careful consideration of your skills, interests, and background is an important step to take when you start to think about your job search. Sometime when you go through the job search, there are high chances of missing a job while going the posting haphazardly! When you are being interviewed, speak only the things which you have pre-plan about yourself. Do no randomly keep on speaking; this may have a negative factor on your personality. Find all the job listing through the proper platform. The various different ways to find a job can be through the job search engine, job boards, company website, jobs website, and social media! You can personally try visiting the company and finding about their job opening! Also finding about the interview through the newspaper advertisement can also be about option. Before anything get insight into the job tips whether about the interview or the job description! If you have already worked somewhere and are planning to apply somewhere else then try to be ready with your recommendations in your professional network. All these will help you in fast tracking your job search. Searching for a job is not easy. It takes time and the results do not show overnight. It would take lot of effort from the candidate before he could enjoy the success of cracking the job interview. The way that was used before may or may not prove to be beneficial next time. So the candidate needs to keep trying without loosing hope and determination.